Over the last few instalments of this column we’ve looked at a few superhero identities that have been used by more than one character (Robin and Captain America, for the new or forgetful). 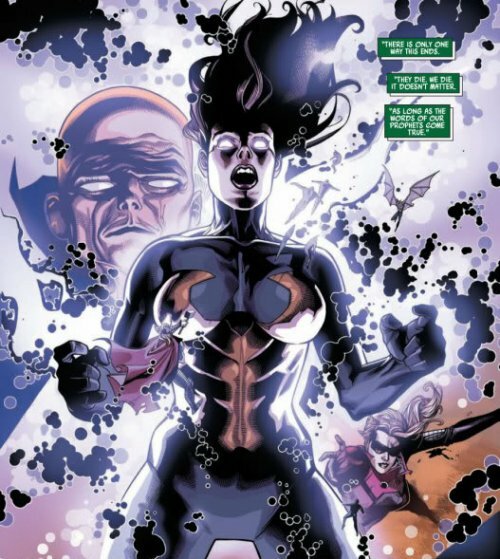 Legacy characters like this are popular in comics because they’re a way of keeping names, and trademarks, alive and relevant (and to learn the importance of that, just ask DC about Captain Marvel). 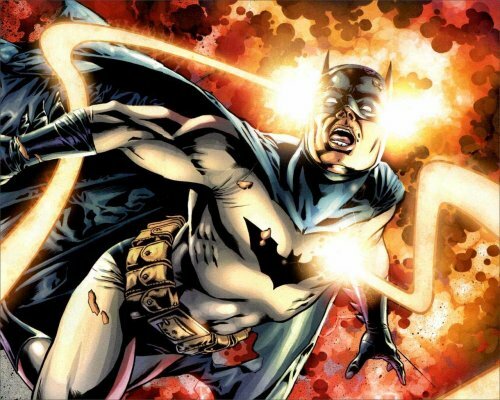 Individual characters aren’t always as timeless as the superhero identity or idea in general, so it pays now and then to get rid of them and replace them with a more relevant version. One of the best ways to sell this change has been to kill off the original as it immediately gives the new character an empty stage on which work and feel important. It’s alright, he got better. Unfortunately, over the years, this has become a less successful technique to use. Mainly because nobody bloody stays dead any more. 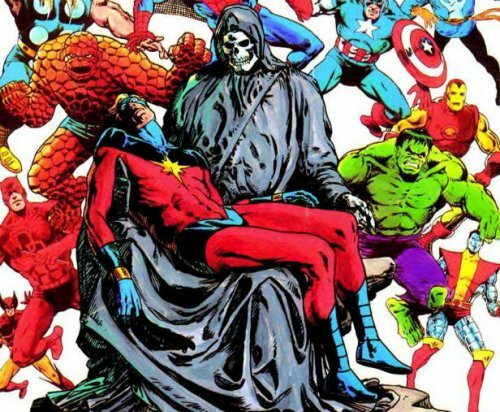 It’s hard to think of any popular superhero character that’s not died and come back to life at some point in their publishing history. From Batman and Superman to Captain America and Thor, moving beyond the veil of death and back again is a familiar feat for superheroes, to the point where the entire exercise has become completely devalued and trivialised. Some times it’s done with good intentions, the desire to tell a good story. 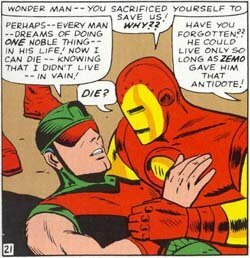 Stan Lee would frequently end issues of Fantastic Four with Dr Doom seemingly about to meet his end, whether it be by shrinking into nothingness or falling helplessly into space. There was always an unwritten promise to the reader that this wasn’t the end however and that when Doom inevitably came back, his survival would be explained away, usually doubling as a springboard into the next story. Another good example is Ed Brubaker’s Captain America run, where the comic continued on after the death of its title character for a good three years or so without any real dip in quality. Brubaker did enough to make Steve Roger’s death feel like a big deal, even though we all knew he would inevitably come back in time for the big movie adaptation. 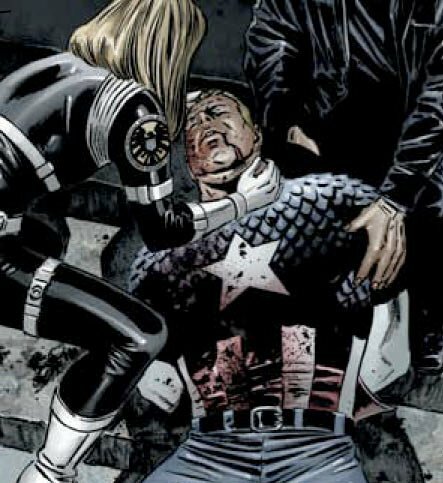 He played on the natural cynicism of the reader nicely by filling Sharon Carter with denial about Steve’s death and when the inevitable resurrection/reversal came, it was built upon enough sub-plots and clues that it didn’t feel like a complete cop-out. When a writer has a clearly defined long term story in mind, it can produce good results. 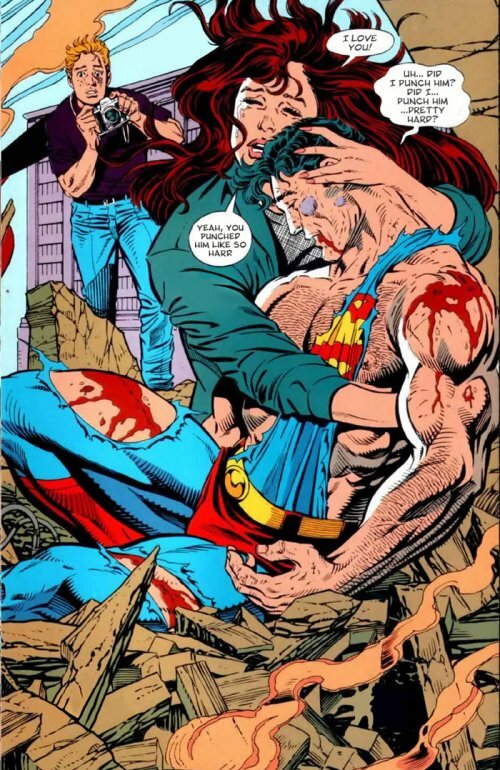 However, most superhero’s flirtations with death aren’t nearly as satisfying, because they’re clearly not as planned. You can see this a lot in Brian Bendis’ vastly disappointing run on Avengers and associated event books, where over the course of a few years he killed off Hawkeye, the Vision and the Wasp, all without any real purpose or effect. Vision and Hawkeye were simply fodder for impact in Avengers Disassembled, while the Wasp’s death is a plot device that comes out of literally nowhere at the end of Secret Invasion. It’s alright, she got better. All three of these deaths have since been undone, in similarly underwhelming manners. Hawkeye came back to life through a fluke of reality manipulation in House of M, the Wasp was revealed to be not dead, but to have shrunk down and got stuck in a microscopic universe, while the Vision was, well, just rebuilt at some point for no particular reason. All those deaths and resurrections manage to do is trivialise the entire concept, as well as pointlessly annoy readers, ultimately hindering the effect of those deaths that are done with a clear long-time goal in mind. It’s obvious why death is such an appealing gimmick card to play in a story. We’re all, one day, going to die and thus it’s, theoretically, the one thing that can happen to anyone and never lose its impact. But good characters, like trademarks, are too valuable to waste by leaving dead, so you get the resurrections and retcons. Some people will tell you that there’s more to it though. That the fragile boundaries between life and death for superheroes are a call back to the gods and heroes of ancient myth. By traversing that mortal line, super heroes are emulating the immortality of their forebears like Hercules and Odysseus. I tend to disagree and dismiss this as an overly generous interpretation of the trend. Beyond a few obvious allegories and homages (and if you want to read a good one, check out Incredible Hercules: Dark Reign, which looks at resurrection from both the superhero and mythological aspects) this isn’t the source of super-hero resurrections. Instead you need to look to Sherlock Holmes. Sherlock Holmes was created in 1887 by Arthur Conan Doyle. After a couple of novels, he became in 1891 a regular serialised feature in The Strange Magazine, essentially the predecessor to pulp magazines and comic books. 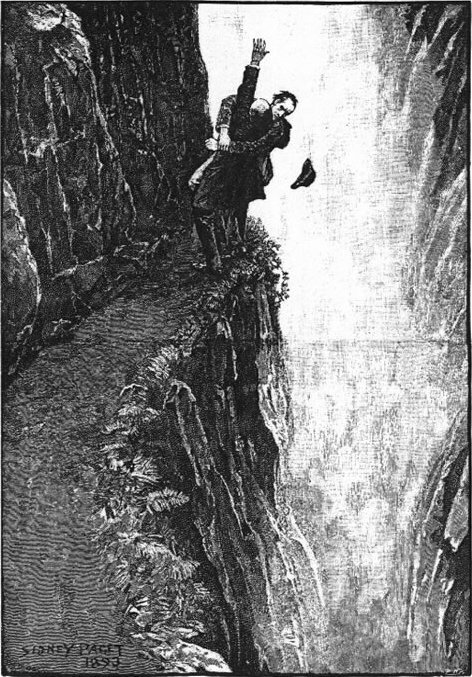 However by 1893, Doyle was bored of writing Holmes, so killed him off in The Final Problem, with the help of the Reichenbach Falls and the only canonical appearance of Moriarty (despite what later adaptations would have you believe, Moriarty’s really just an overblown device to get rid of Holmes, rather than a recurrent nemesis). And that was it for Sherlock Holmes. No more stories, for eight years at least, until 1901 when, bowing to popular pressure, Doyle revealed that Holmes hadn’t really died. He continued to write more adventures for the detective well into the 1920s. That is the true lineage of the unkillable super-hero. Not the gods and heroes of myth and legends, but the fickle nature of writers and publishers vs the devotion of readers and fans. So next time a superhero gets killed off in a flurry of publicity only to return a few months later, remember, don’t blame the writers, blame Sherlock Holmes. It’s alright, he got better dialogue.